Is a modern facility which has been used for large parties such as 21st Birthdays, school, sports and other social group events, weddings, funerals and much much more. The Hall has: state of the art facilities, including well equipped kitchen, bar, function rooms we can also provide sound equipment (available for hire). If you are interested in having a function here please contact us. 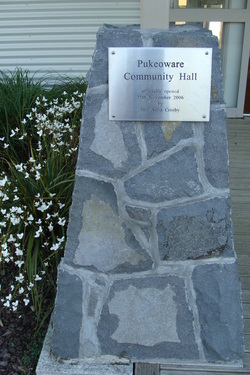 Pukeoware Hall is managed by a volunteer committee that is responsible for governance decisions and has oversight of the smooth running and financial well-being of the hall. The Board members are elected from the local community at the Annual General Meeting. They have skills in management, finance and governance and have the interest and health of the community hall and its activities at their heart.